Fashion conscious girls will be glad to sport this stylish beach tote with a seahorse pattern that includes a matching accessory pouch. A perfect individual size for a towel, lotion, magazine, and beach or travel necessities. Small pouch has wristlet handle and can be used for cosmetics, cell phone and key storage. Large enough to hold a wet bathing suit. Includes name or three letter monogram. Accessory pouch measures 8.5" x 12"
I have five nieces - who will all get a first communion. 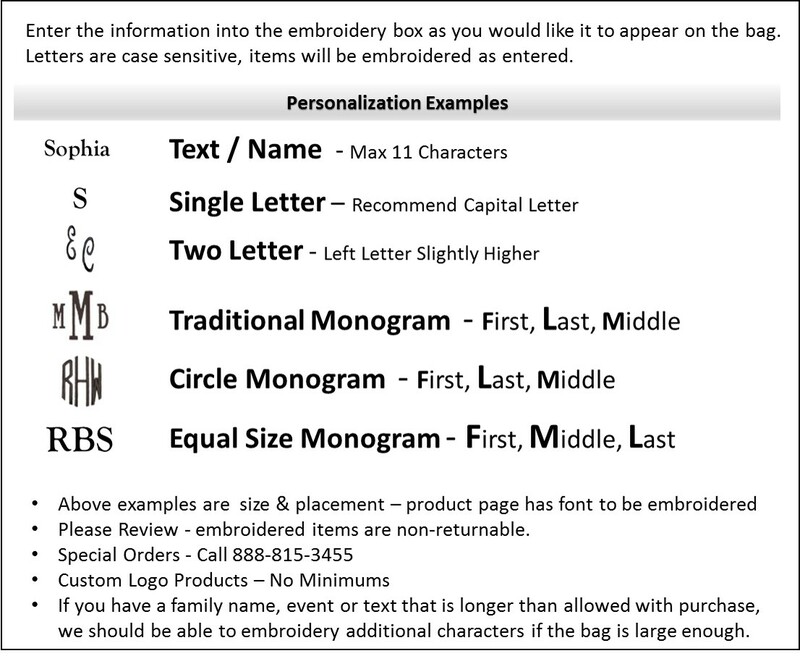 For the first one, I was pressed for time went to the mall and got a canvas bag with her monogram - talk about expensive. This time, I was able to purchase online! I am ordering this bag for the rest of the girls. It is good quality and the rope is soft and durable. There is a zipper. The lining of the blue one is polka dot. Quality of the canvas is great! I hope the color stays cause it is perfect!!! Two small pockets on the inside for cell phones and pens, like a purse. Great bag for any age really! Perfect for regular towel, book, suncreen, brush, wallet and phone. This bag is super cute and like it's displayed in the picture. I was surprised that it shipped so quickly after I ordered it, especially because it was during the busy holiday season. Thank you!